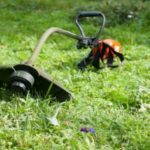 Home Blog Weed Eater Do you want to know when you should respool a weed Eater? 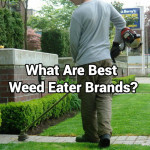 A weed eater is a handy tool for a homeowner. It is useful in trimming weeds and grass in tight spaces or around obstacles which incapacitates a lawnmower. 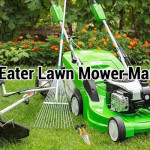 Despite all the differences regarding designs and modes of powering, the working principles of a lawn mower and a weed eater remain the same. 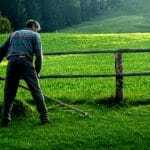 Every weed eater uses a fast spinning string of plastic string to whack grass around your lawn. The trimming line is withdrawn from a spool, mostly by bumping the trimmer head on the ground. After a while, the spool runs out and you have to respool the weed eater. But do you know exactly when you should respool a weed eater? The task of respooling can also be done for a variant of reasons and not necessarily when the spool is empty. Sadly, it is one that not many people do not love doing or wait too long before undertaking. Knowing when to respool a weed eater is essential in retaining its effectiveness. When Should You Respool Your Weed Eater? Frankly speaking, there are a number of reasons why you need to respool your weed eater. The first and main reason is usually when the line has run out. When you have been whacking the weeds in your backyard for some time then no line advances, this may mean that the line could have run out. Your weed whacker trimming line, usually made of some kind of plastic, wears down as you use it. The resulting repeated high-speed contact with weed, pavements, fence posts, trees, grass, and stones renders the working line section ineffective after a while. At that point, you then have to advance a newer portion of the line by bumping the weed eater head on the ground by relying on the automatic option. It does not matter whether you are using either an automatic or bump feed string line. Another way of telling that the line is at its end is to check for a change in trimming quality. If it deteriorates, then it means only a small portion of the line remains in the spool. In other instances, it could be as a result of problems with the line itself. If the spooling were done poorly in the first place, then it wouldn’t trim as you would want. Twists in the line would necessitate a change of spool for a better one. There is no set time or moment when you should respool a weed eater. If you suspect any issues with your line, then you need to stop working and check it out. It could even be a case of a line that keeps on getting stuck. In case you are out of line, or the current line is ineffective, then it’s time to replace the spool. After you have established that you indeed need a new line, it is time for you to install a new spool into the trimmer head. With this little help from me, you can actually do it yourself and stop relying on help. 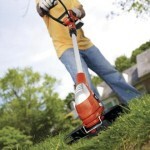 The process is a standard one, whether you have a battery powered, electric or a gas powered trimmer. Respooling the weed eater can be done in two ways. First, you can re-string the line onto the spool yourself, often from a bulk of line. Secondly, you can also buy an already would spool and insert it into the spool slot. The latter saves you time but will cost you more. If you check the manual your string trimmer came with, you will notice a specification on the thickness of string it should use. The diameter is usually dependent on the type of power. More powerful gas trimmers take the thicker strings, with diameters ranging from 0.80” to 0.11”. The less powerful battery powered and electric trimmers use the thinner 0.065 strings. A thicker string than the recommended will not fit through the hole. Conversely, a thin string underutilizes a trimmer meant for thick strings. Safety procedures require that your trimmer has to be switched off before you can start using it. For electric and battery powered tools, unplug or remove its battery before you can disassemble its trimmer head. The last thing you want is to have the tool switching on while in use. Also, ensure the trimmer cools down completely before attempting any works on it. A hot gearbox and trimmer head could cause you burns. Have the trimmer lay flat on a workbench or work table. Others find it easier to hold it upside down so that you can easily access the trimmer head. Once in a position you are comfortable with, remove the trimmer head’s retainer cap. This process involves unscrewing the cap, pressing on a tab then turning the cap in an anticlockwise direction, or a method specified by the manufacturer. All in all, it should be an intuitive process of turning the head in the indicated direction, then pulling outwards. Once you have opened the trimmer head, pull out any remaining string line inside. Then use the washcloth to tidy up the housing of the spool. Repeated use creates a buildup of stones and grass inside the housing that reduces the ease of unwinding of the spool. If you check either on the manual or the spool housing, you will notice a specification on the length of trimming string the spool can accommodate. Use the measuring tape to determine the exact length as you draw out the bulk length of the string. For spools that accommodate 30 feet of string, measure this and then cut off the line. Allow for allowances of a couple of inches. This step is only required if you intend to re-string the spool yourself. Otherwise, you would have just inserted the pre-strung pool right back in and covered the head. Note that if your weed eater uses two strings, then you have to measure the two specified string lengths. Once you have the length you need, locate a center hole on the housing, then push through about ½ inch of line. This length holds the string in place as you wind it. For a two-stringed weed eater, each housing section has its center hole, with a divider in between. Work with one section then go to the next. Check the indicated direction of wrapping, and then wind the line side by side, layer by layer. Do the same to the other side. Do not wind the whole length of the string. Leave about 5-6 inches unwound. On the edge of the spool(s) is a notch. Clip the protruding end into this notch (will be two in a double stringed trimmer). These notches aid in keeping the line in place as you put back the spool. Assemble back the spool housing into the trimmer head hub. Release the string end you had clipped in the spool notch. Pass the end through the line exit hole (eyelets) located on the weed eater head. This step should be repeated for the second spool whenever applicable. After replacing the spool into the weed whacker head, align the spool retainer with the eyelet slot. Try to pull the string through to see it unwind smoothly. If it does, screw back or snap the retainer ring into place. Try to wiggle the ring a little for a tight fit. It might fly as soon as you start the trimmer off if it is left loose. Put back everything together, then power back your tool and continue with your work. The frequency with which you respool a weed eater depends to a great extent on how you use it. The more torture you subject your line to then the time duration when you should respool a weed eater becomes shorter. 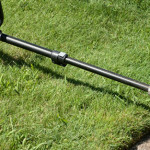 Use a trimmer line guard to protect it from hitting other objects such as fence posts, lawn furniture or house sidings. These objects wear out a trimming at a faster rate. Otherwise, the line might damage the likes of house sidings. For a dense weed growth, start the trimming process at the top of the weeds, working your way downwards. Starting down subjects the string to excessive strain. 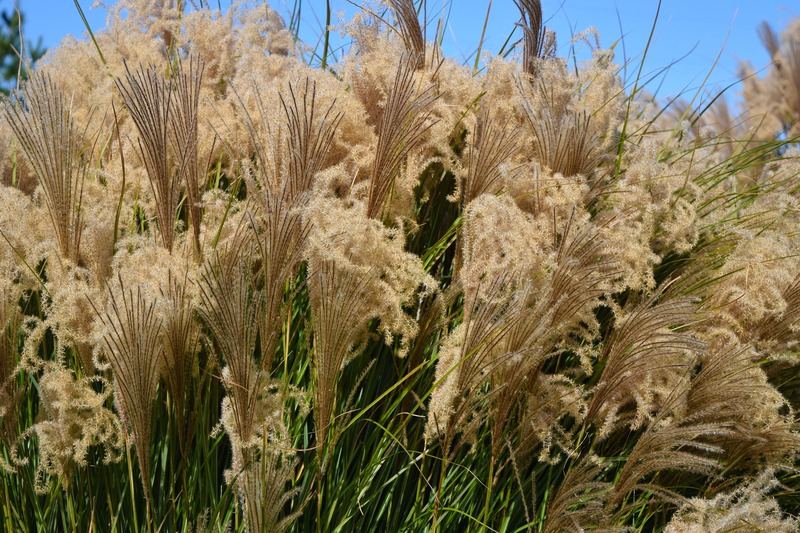 Avoid thick patches of twigs, vines or grass. Only use the string trimmer when the grass is slightly dry, but not too wet. Wet grass is heavy, and quickly wears your strings. 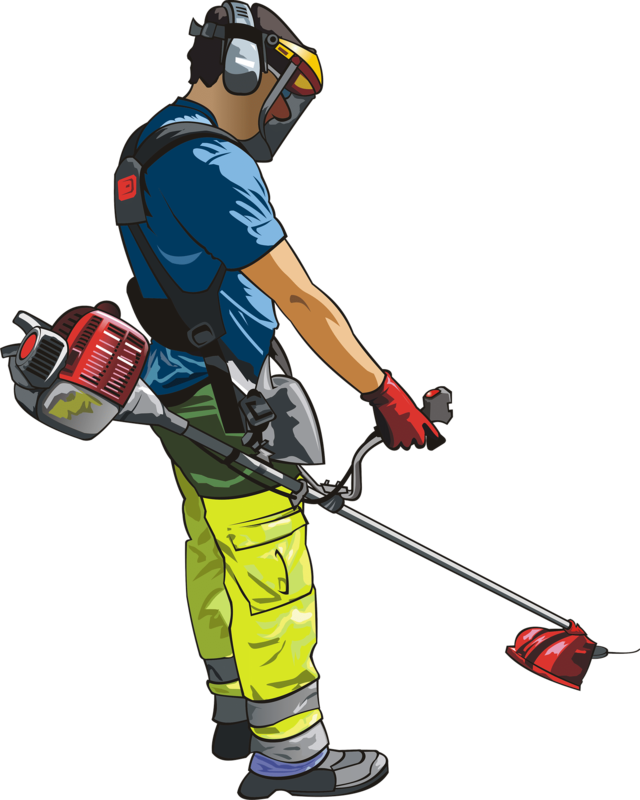 Use personal protective equipment when using the string trimmer. It doesn’t prolong the lifespan of the string, but it keeps you from harm’s way. There is no specific time when you should respool a weed eater. It all depends on several factors such as the intensity of the weed growth, the line thickness and how many hard surfaces it comes into contact with. The respooling process is easy too that you can comfortably do yourself in just a couple of minutes.